We don’t stop when term ends! Activity camps for your children to enjoy in the school holidays are a great idea. But how can you be sure that the camps are right not just for your children, but for your own peace of mind too? You need to be sure there's a wide range of activities on offer and your child is going to be having fun in a safe and structured environment – and all at an affordable price. 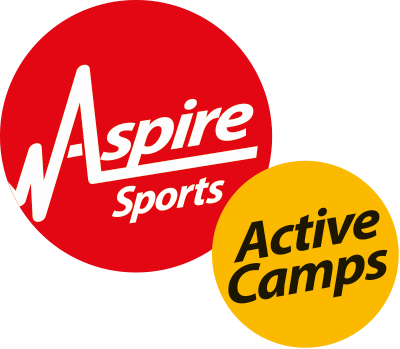 Aspire Active Camps tick all those boxes. We provide sports and activities during every school holiday at venues throughout the Midlands. All of our camps are Ofsted registered, meaning parents can pay using childcare vouchers, making Active Camps a safe, fun, flexible, and affordable childcare solution. As well as specialist Academies like Gym Beatz, Football, and Complete Cricket, our Multi Sports Academy encourages children to try a huge range of sports and activities. And for children who love music and drama, Dance & Stage Beatz Academy and C Sharp Music Academy are great for enhancing their skills and confidence– as well as meeting new friends! Aspire Active Camps are proud to be one of the few Ofsted-registered school holiday childcare providers solely focused on sport and physical activity. Being Ofsted registered means that we have all child protection policies and procedures in place. Read more here. We always follow a strict ‘sign in’ and ‘sign out’ procedure that ensures we know where children are at all times. Our staff are suitably qualified and screened prior to employment, risk assessments are carried out on a regular basis and the correct insurance is present. And being Ofsted registered means you can make a tax saving and pay by childcare vouchers! You should expect the highest of standards from your school holiday childcare provider – and so do we! 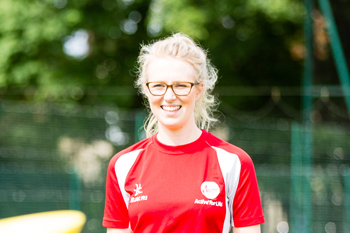 Aspire Active Camps only recruit the very best people, starting with a stringent recruitment process. Staff have to attend a face-to- face interview, study our staff handbook, attend our in-house training and complete a test, supply us with two referees and hold an Enhanced CRB Disclosure. During their employment with Aspire Active Camps every staff member will be required to continually follow our policies and procedures. This ensures the welfare of children in our care takes priority. There is always a site co-ordinator at every Active Camp venue. These co-ordinators hold the stringent qualifications required by Ofsted. They also receive ongoing in-house training as well as support from external experts. Children love Active Camps because their days are packed with a huge range of fun activities run by dedicated staff who ensure they always have a great time. We understand that flexibility and price are very important to you, which is why we developed the Five Day Flexi Pass offer for the summer holidays. This enables you to buy a week's worth of school holiday activity and childcare cover at a special price while using it on the days and times that suit you. It's ideal for covering those childcare emergencies, is easy to use and you can even buy it with childcare vouchers. Children can stay at our Active Camps from 8 am to 6 pm, giving working parents the extra time they need to drop off and pick up their children. This service is available every school holiday across numerous sites in the Midlands. Please note that Flexi Passes can only be used at the venues they have been booked for. Flexi Pass bookings must be made online 48 hours before the day that you wish your child to attend camp.